Death of an Everest Legend? I returned from a beautiful 14km run from my apartment down around Bukit Timah nature reserve and back this evening in a very good mood. Only to turn on the computer to read some very sad news about an Everest legend who has disappeared in an avalanche whilst climbing in Nepal. 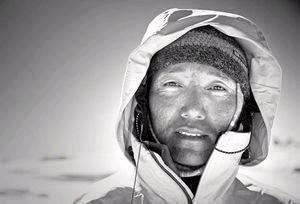 Chhewang Nima Sherpa, (43 yrs) had summited Everest 19 times. He is one summit of the record which currently stands at 20 times (held by another Sherpa named Apa Sherpa). Details are still sketchy, however it appears from reports that he was swept away in an avalanche on a mountain known as Baruntse on Saturday whilst fixing rope. A helicopter search has been called off after finding no trace of him, however there is some small hope he may be alive. Chances appear slim. Chhewang Nima Sherpa is a married father of two boys and earns his money to support his family by working on climbing expeditions. Experience, skill, fitness and instinct are all factors which influence a climbers survival rate in the mountains. However this is just another example showing that the mountains are always in control. They will never be ‘conquered’ by any man or woman, no matter how experienced they are. If the mountain does not want you there she can destroy you in the blink of an eye. Lets hope Chhewang Nima Sherpa has somehow managed to escape the wrath of Baruntse this time. Posted on October 28, 2010, in Everest 2011. Bookmark the permalink. 3 Comments. Hi Grant. Great to be kept updated with your training. Very sad news about your fellow climber. Yes, one certainly can’t control a mountain and we all must have great respect for them. Paul is learning that just by running up Mt Egmont on a sunny hot day and when returning to the car finding it hard to believe how freezing his exremities are. I am not so sure that your updates are all that reasuring about your safety on your climb. I hope you are somewhat a religious man as this may greatly sway in your favour!!!!! Could you please let me know who is the photographer of this photo or from where you got this photo from? Hello Lakshmi – I got this off an internet newspaper site – I cant remember where exactly sorry.